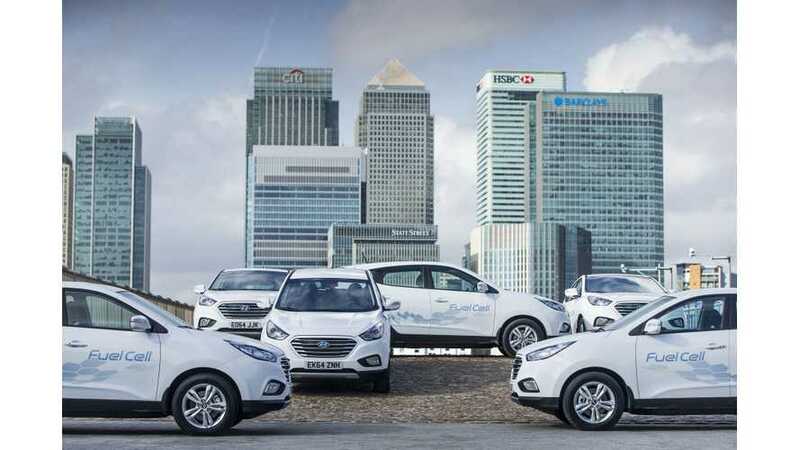 About two months ago Hyundai introduced its ix35 Hydrogen Fuel Cell in UK at £67,985 (over $100,000) before any incentives. The car was recently featured in Fully Charged and Robert Llewellyn tried to discus hydrogen production - from natural gas or electric energy through electrolysis. This is interesting because there is an idea to use renewable sources, which could supply energy when production exceeds demand from the grid and in normal operations those sources are turned off anyway. Well, sure smart energy management will help, although we could still schedule EV charging or use energy storage to limit idle time of renewables. According to the video, today about 95% of hydrogen in the UK comes from the fossil fuel industry. 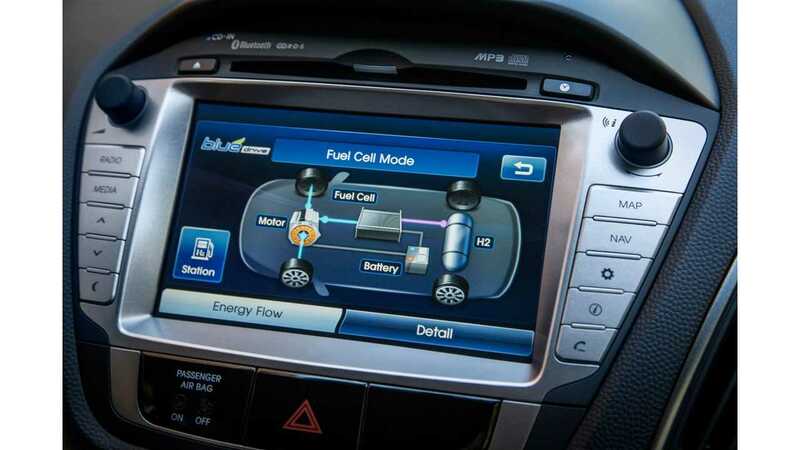 "A test drive in the hydrogen fuel cell Hyundai ix35. Easy to drive, easy to re-fuel, the only thing coming out of the tiny tailpipe is water. So, where does hydrogen come from?"